On our last post we went over what makes a good scooter wheel. We breifly talked about scooter bearings on that post and what makes a good bearing. 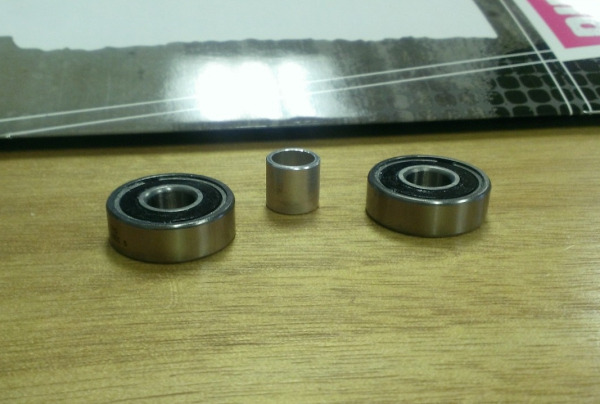 In this post we will be going over how to take care of your bearings. The fancy definition of a bearing is that they are a "highly engineered, precision-made component that enables machinery to move at extremely high speeds and carry remarkable loads with ease and efficiency. They have the ability to rotate at high speeds with minimal noise and vibration". For the pro scooter world what that means is that bearings let your scooter be dialed while allowing you to go fast and smooth. The thing is that you really need to take care of your bearings if you want your pro scooter to last. If you dont take care of them they will eventually stop being smooth, will slow you down and eventually stop working. Taking care of bearings is very very easy.